The bmw ml was one of those international collaborative efforts whose background is more spectacular than the end result. Bmw powertrain, giugiaro-designed bodywork, chassis design and manufacture by lamborghini the ml certainly bore a pedigree that could have aroused interest in even the least-committed car enthusiast. Bmw berlinetta the ml project originated in the decision to build a competition berlinetta on the lines of the lancia stratos, with 400 examples required for homologation into group 5 racing. The project commenced in 1975 under the stewardship of bmws motorsport racing subsidiary, but it soon became apparent that the plan was too big for motorsport and too small for bmw. The continuation of the entire ml project was subsequently relinquished to lamborghini. austere interior lamborghini, however, was in the throes of a financial crisis, and the ml project reverted to bmw. Giugiaro had accepted too much work, and his design for the ml reflected his rushed schedule it was competent but lacked genius, although the result was considered beautiful by some. Additionally, bmws characteristically austere cockpit did little to boost the cars appeal, and the $60,000 price tag kept away much of what was left of the potential clientele. 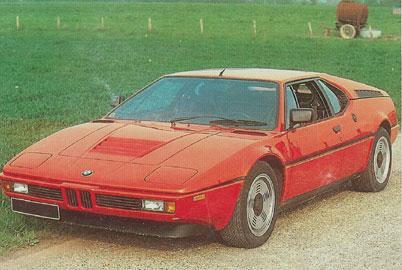 Bmw found it difficult to sell the 450 mis it had built. A technical success, but a commercial disaster. Bmws mid-engined ml (the firm s first) deserved a better fate.